A while back, we were searching through one of Beach Bum Berry’s drink apps for something new to try, and we came across the recipe for the Happy Buddha. It called for okolehao, which we’d never heard of. Being inquisitive nerds, we were curious as to exactly what it was. After a quick internet search we discovered that it’s a native Hawaiian spirit. It is made by cooking the root of the Ti plant to break the starches down into sugars, fermenting the results, and then distilling them. This sounded like a unique and interesting spirit, so being us, we had to acquire some. After some internet sleuthing and a few phone calls (thank you Julia! ), we were eventually able to acquire some from Haleakala Distillers. It turned out to be just as tasty and distinctive as we had hoped. Since we have now worked our way through one bottle of it and are on to our second bottle, we figured it was about time for us to do a post on it. First up, tasting notes on the okolehao itself. Nose: Molasses, burnt sugar, funk (similar to a Jamaican rum), floral notes like lilies, sweet tree sap like birch beer or root beer, earthy undertones. Palate: Fairly hot, but still rather smooth. Lots of brown sugar, little bit of root beer or birch beer flavor. Nutmeg towards the end of the mid-palate and into the finish. Almost reminiscent of eggnog with the hints of nutmeg and a little bit of creaminess. Less funky tasting than expected based on the nose. The aftertaste is faintly bitter and a little bit earthy. Next up, we decided to experiment with the okolehao and see if we could come up with a recipe of our own. 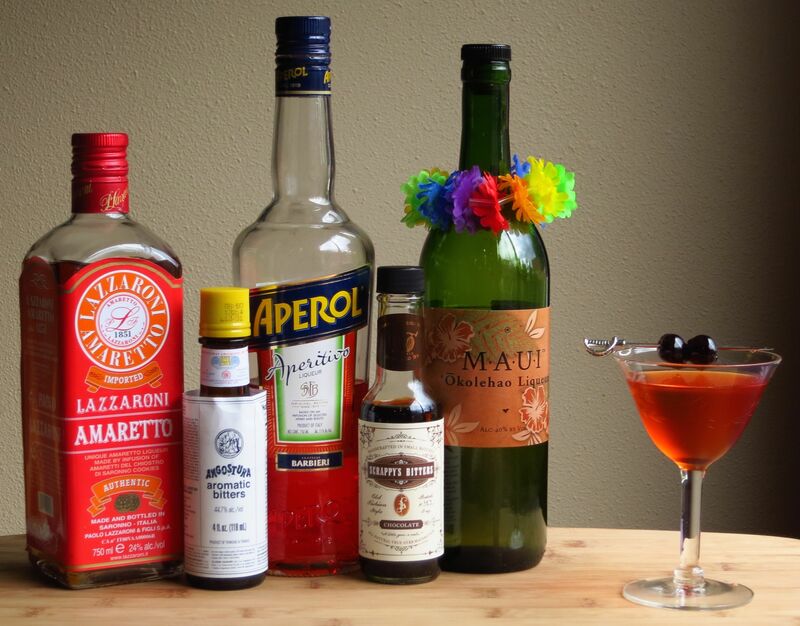 We tried it with several different combinations of spirits and liqueurs. Chocolate vodka overwhelmed it, although the chocolate-okolehao pairing was a nice combination. We tried a curacao, nice but nothing special. Okolehao and amaretto worked well together flavor-wise, but the result was too sweet and kind of one-note. Aperol worked well with it, adding citrus and herbal flavors as well as some bitterness, but it was still wasn’t quite there. Then we hit on combining the okolehao with both the amaretto and the Aperol. That balanced out the flavors and we had a winner. However, it was still a little flat. So we experimented with a number of bitters. We eschewed the fruit ones as we felt they wouldn’t be a good match. Given that the chocolate vodka pairing had been nice flavor-wise, we tried chocolate bitters and that indeed worked well without overwhelming the base. We still wanted some spice, though, so we experimented with both Angostura and Peychaud’s. They both worked well, but the Angostura brought a little more to the party and we went with that. Given that we have a drink using two Italian liqueurs with a Hawaiian spirit, we felt it only right to name it the Italian Tourist. Stir with ice. Strain into a glass. Garnish with brandied cherries. Nose: Caramel and sugar. Jamaican rum funk. Sweet toasty almond. Slight floral, like lilies. Hints of bitter chocolate and root beer. Palate: Okolehao on the front: caramel, brown sugar, funk, little bit of nutmeg. Amaretto and Angostura speak up in the middle: chocolate, cloves, and toasty sweet almond. Also some coconut on the mid-palate. Dark chocolate, bitter orange, touch of earthiness on the finish. As it warms up, more of the Angostura spice and more of the Jamaican rum funk show up. Nice round mouth feel. Quite tasty if we do say so ourselves. Next up we decided to try one of the recipes on the Haleakala Distillers site, the Chief’s Calabash. We actually found the the drink somewhat uninteresting in its original proportions. The large amount of coconut milk overwhelmed and muted the okolehao and orgeat. So we decided to experiment a bit. We rebalanced the ingredients to tone down the coconut and give the orgeat more of a voice without losing the okolehao. It also made the drink a little less sweet, especially since we use homemade orgeat, which is less sugary than the commercial varieties. Much better! To our palates, anyway. 😉 We’re not big fans of super sweet drinks, so your mileage may vary. Mix ingredients, pour into a glass of crushed ice. Serve with a straw. Nose: Coconut and almond. Funk and brown sugar from the okolehao. The nose is very faint, probably due to all the crushed ice. Palate: Coconut and almond skins to start. Creamy caramel and molasses on the middle. Almond, earthiness from the okolehao, and light cereal notes (kind of like horchata) on the finish. We’re very happy to have discovered this lesser-known spirit. The Happy Buddha (the cocktail that started this whole adventure off) is delicious with the okolehao and has become a favorite here at Booze Nerds HQ. We also quite like okolehao as an interesting substitute for rum, which seems to be its closest cousin. If you come across some (or are fairly obsessive like us), we highly recommend picking up a bottle or three and trying out various drinks with it. It definitely adds some unique twists to existing tiki drinks, and it also makes some damn tasty drinks on its own. 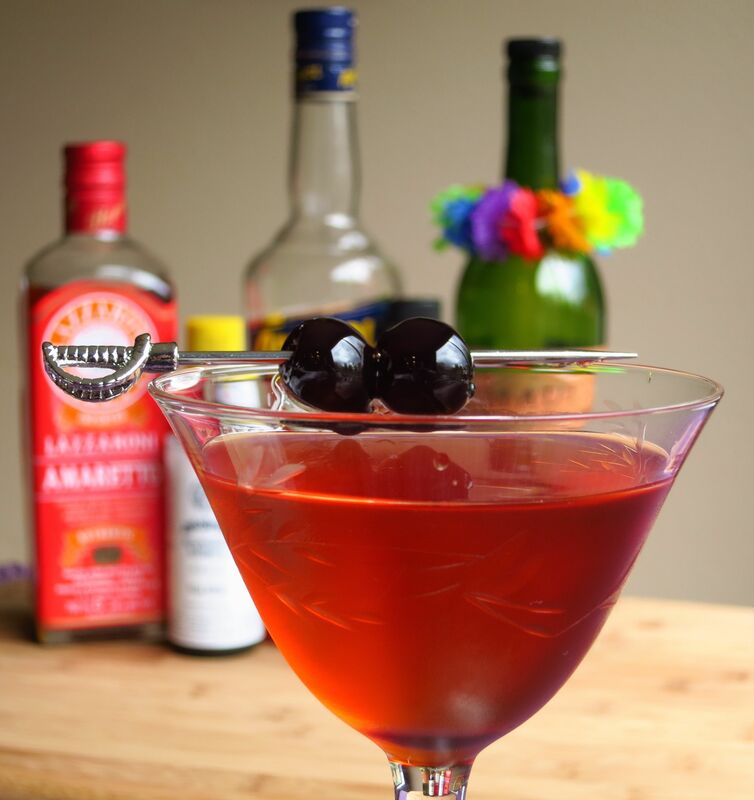 This entry was posted in amaretto, aperol, okolehao, orgeat and tagged Haleakala Distillers, italian tourist cocktail recipe. Bookmark the permalink. There is another okolehao on the market in Hawaii. It’s called Hawaiian Moonshine and is made in Honolulu. It’s best described as a recreation of the original 18th century spirit, strong and smooth with no overpowering flavor. Also, the reason Beach Bum Berry called for bourbon as a replacement for okolehao in his cocktails is because the okolehao marketed during the 60s and 70s was just a flavored bourbon, made in California. It was fairly crappy which is why it (thankfully) disappeared. Great to see other folks taking an interest in okolehao! 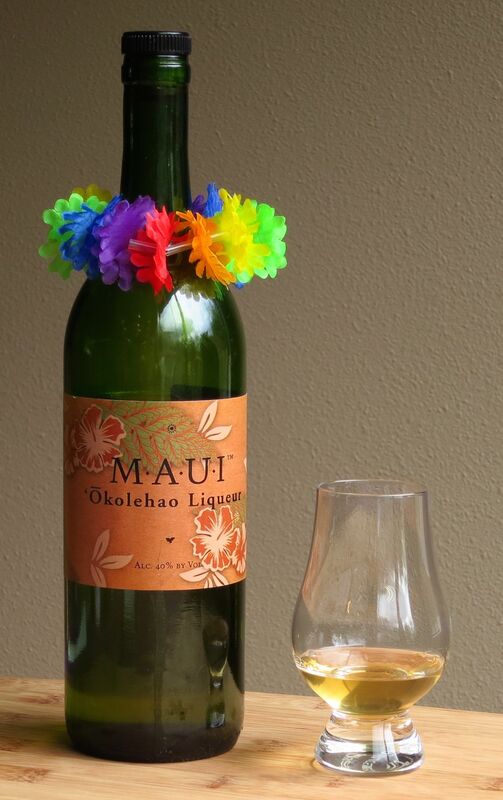 It should be mentioned that Maui Distillers’ oke is only one modern representation of the spirit, and not very close to what was historically available. Another okolehao made on Oahu is completely different, and yet both distillers believe they are making something similar to the original. The reason Jeff Berry calls for Bourbon as an okolehao substitute in his recipes is because mid-century okolehao was merely Bourbon sold as okolehao. Jinx! 🙂 Thanks for all of the info guys. First i ever heard of this native Hawaiian beverage,was from a old “John Wayne” film entitled “Operation Pacific”. it is mentioned during a funny scene involving the Submariner`s from the “Thunder fish”.